Marrakech is a heady blend of colour, spice, sunshine and activity which can leave the fresh-off-the-plane visitor very much in need of a hammam and a mint tea. But if you’re booked in to one of our Guru recommended best boutique hotels in Marrakech then that will definitely be taken care of, plus a lot more. And from the boutique comfort you’ll soon be ready to hit the streets and souks again. Many of our Gurus’ favourite places to stay in Marrakech are beautiful, traditional Moroccan riads, some of which we feel have similar qualities to what we’d call a "boutique hotel" in other countries. Morocco is known for its beautiful artistic heritage, and some of the tile work, stucco and carved wood design in these properties is up there with the city’s cultural highlights. 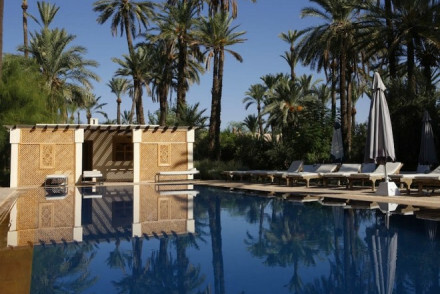 But if you’re looking for something a bit more modern then our list of the best boutique hotels in Marrakech has something for you too. As well as some amazing restaurants-turned-hotels and some peaceful Palmeraie retreats if you’re here to relax as well as immerse yourself in the medina. 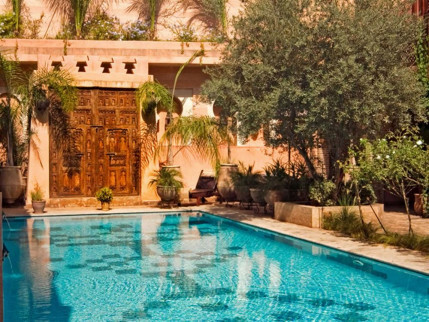 Riad Jaaneman is a luxurious riad with just five beautifully appointed suites - think four poster beds, marble floors, vast bathrooms and balconies with views to the Atlas Mountains. 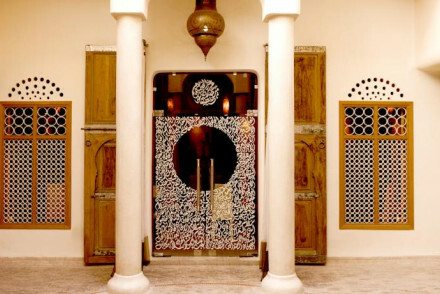 The Riad El Fenn is a hip yet carefree hangout with beautiful artistic details. Walls are hung with art, tables are covered in silk, courtyards are tree, and tortoise, filled, there are piles of Berber cushions everywhere, and plenty of flowers too. There’s also a rooftop terrace with incredible city views, a hammam, screening room, a library and two pools. 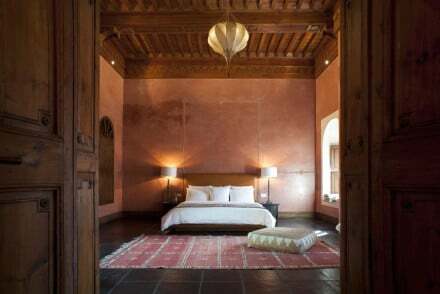 Romantic and intimate, the Riad Al Moussika has just five bedrooms, courtyards flooded with sunlight and a delicious Italian/French/Moroccan restaurant. 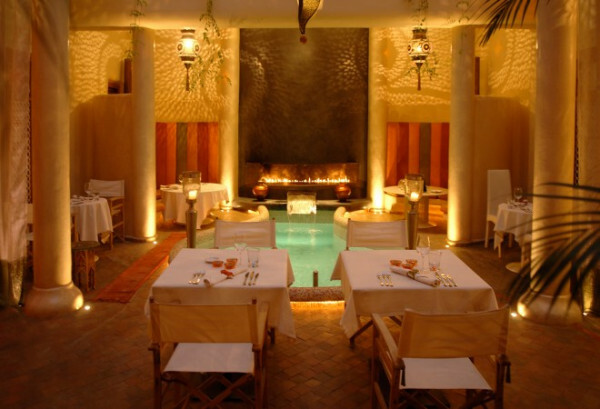 The decor is classical Moroccan, around a central courtyard with a pool, bougainvillea and rose-filled fountains. 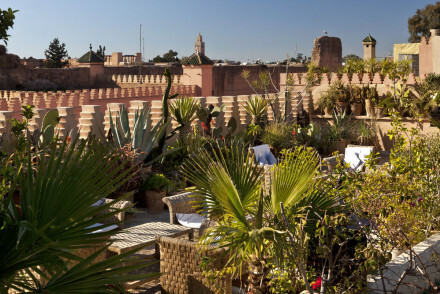 Maison MK is a relaxing retreat in this frenetic city, with just six rooms, neutral tones, a fantastic harman, a peaceful rooftop terrace and an intimate Moroccan/ French fusion restaurant. The design was done by a fashion photographer so it’s quite stylish too, but still traditional. 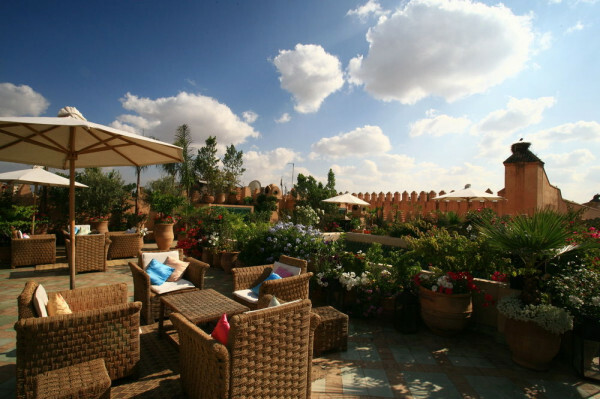 Dar Zemora is a traditional, six room hotel nestled in amongst beautiful gardens of olive, palm and lemon trees. 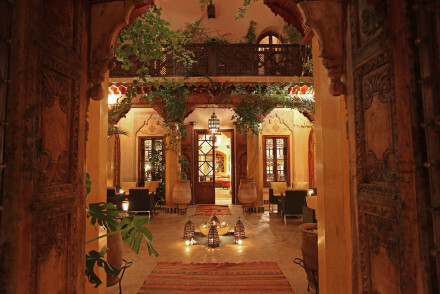 The decor is colourful and Moroccan and there’s a heated pool and romantic dining room. The large garden makes this a private and peaceful place to stay. Understated and elegant, with design that combines Moroccan tradition and European style, Dar Les Cigognes is in a great location, with fantastic views from its roof terrace. 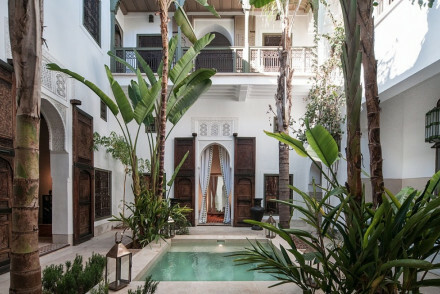 There are 11 rooms, each unique, in these two converted riads, joined into one by a bridge over a small alleyway. There’s also a spa, harman and jacuzzi. Just ten minutes walk from Djemaa el Fna, the Riad Les Yeux Bleus is charming and unpretentious, with just eight rooms tucked away down a pink alleyway. 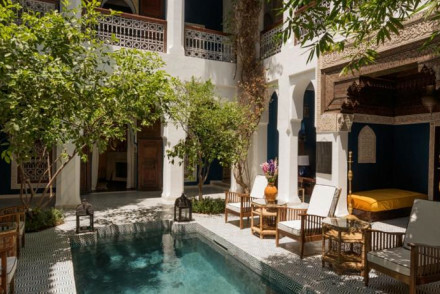 Elegant and very Moroccan, there’s a trickling fountain, a rooftop view, bright colours in the decor and in the bougainvillea-filled courtyard and the smell of lemon trees. There’s a small hammam, and very reasonable prices. 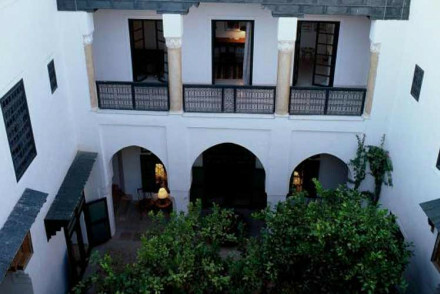 Riad Sapphire is another good one to book if you're looking for a seriously chic property at great prices. 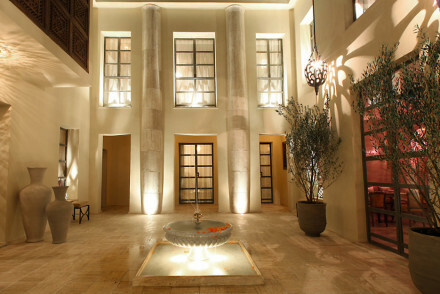 There are just eight coolly elegant suites, roof top terrace, hammam and spa. All for as little as £128 B&B. Villa 55 is in the Palmeraie, so it offers a bit more space and a bit more peace. 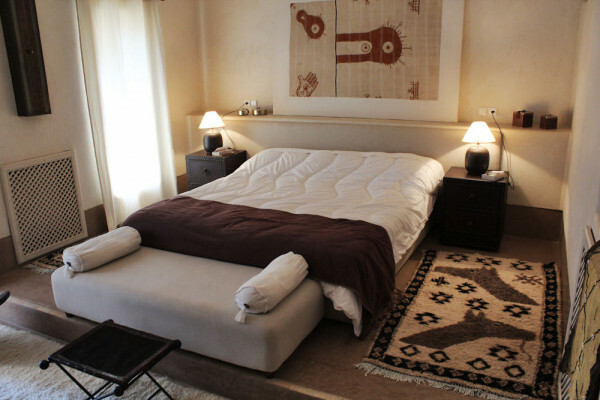 There are just ten rooms which are simple and stylish, with mainly white decor and splashes of Moroccan colour. There’s a wonderful garden and a traditional kitchen. 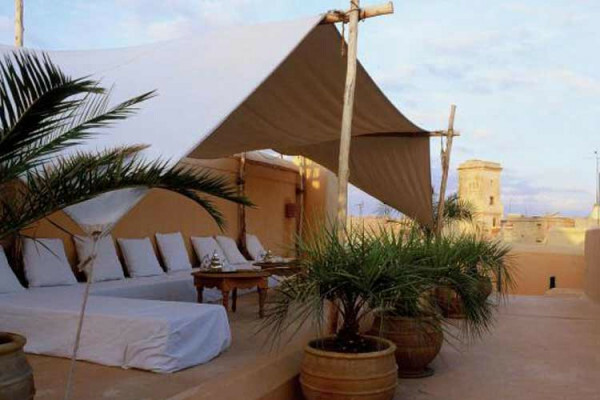 Recently restored, the Riad Joya is wonderfully unfussy, with natural materials used in a simpler, more modern way. The rooms and courtyards are bright and light with modern furnishings and the service standards are high. Jnane Tamsna is the perfect boutique option for families, with a good range of accommodation, on site pools (there are five! ), tennis court and various other activities which the hotel will happily arrange. Great location too and fabulous food. Ryiad El Cadi is a calm refuge in the heart of town, with 15 peaceful rooms and just the right amount of fine furniture and art so you’re not constantly panicked about it. The white washed walls keep it simple and there’s a lovely roof-top sun terrace. This list is a bit different, with those hotels our Gurus love, but may not quite fit the boutique bill perfectly. 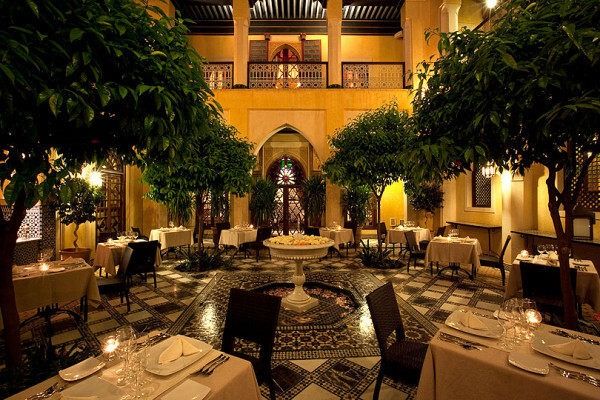 La Maison Arabe is an iconic restaurant turned luxury hotel with 26 rooms, in the heart of the medina. Does it qualify as a boutique hotel? Maybe? But it’s got that sort of vibe, with a beautiful blend of traditional Moroccan craftsmanship and European style, and of course excellent food. 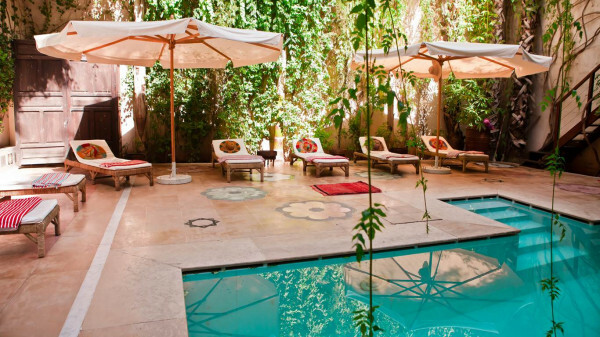 or the best places to stay in Marrakech for foodies?